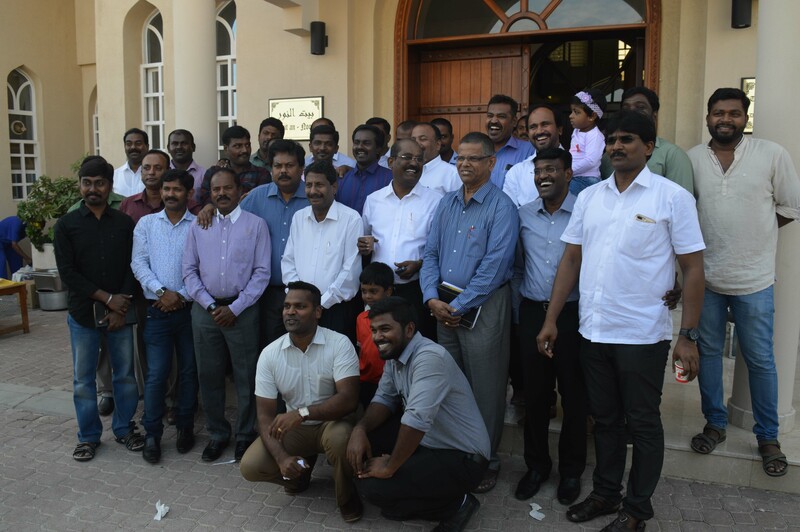 Anchor of Faith – Full Gospel church – AOF, (formerly known as Tamil Full Gospel Church) was established in the year 1985 by a small group of Tamil Christians and Late. 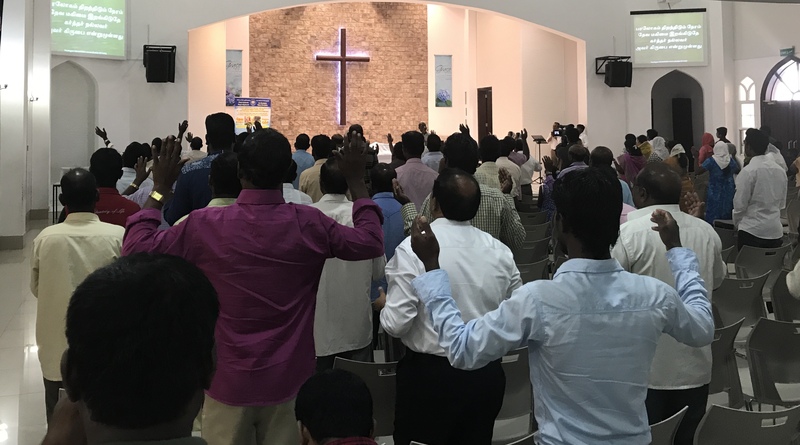 Dr. Justin Prabakaran, one of the leading Pentecostal Leaders from India, who prayed and guided to form a new Tamil Pentecostal Church in Oman. 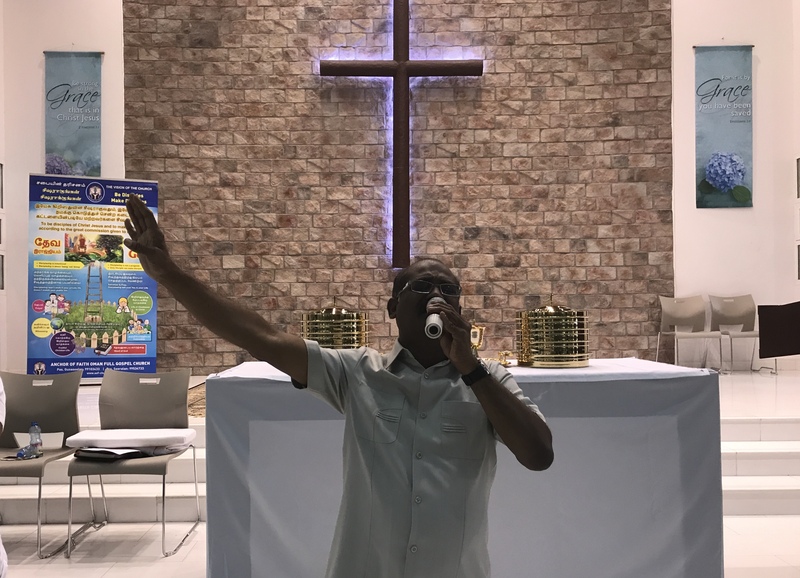 Our Church is an incorporated non-profit organization operating under Protestant Church in Oman (PCO) as a “Sponsored and Licensed Congregation”. Over the years, AOF has grown very fast and we have as on today 250+ members including families, Children and individuals. We meet every Friday at Ruwi New Main Hall between 7am and 9am and every Wednesday at Ruwi Annex between 8pm and 9.30pm. These are our regular Worship Services. 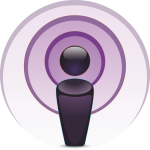 In addition, we have other weekly ministries, details of which are shown in a separate section. The Church is being governed by the Board of Elders, led by Pastor. R. Gunaseelan. Children of our Church attend “Children Bible School – CBS”, every Friday between 9am and 10.30am. Communion Service is held on the first Friday of every month. Night prayer held every second friday night between 10pm and 12am. Fellowship meal is provided at the end of Worship services. The congregation comprises of people of all age groups from India and Sri Lanka who come to worship in Tamil. Translation to English will be done only during special conventions. The church supports many Missionaries, Ministries including church planting in India and Sri Lanka. Renowned preachers from India frequently visit the church. Since it’s planting, Anchor of Faith Church and the believers have been blessed by God and seen tremendous growth. Come let us “Glorify the LORD…..; let us exalt his name together – Ps 34:3.